You’ve explored your options for solar panels, reviewed the benefits, estimated the installation costs, and now you’re ready to install a PV array. But before you set up an appointment with your chosen solar panel company, you need to make sure you and your home are ready. By reviewing these five prerequisites ahead of time, you can make the installation process run much smoother. While every city and state is different, many require specific permits to install a home solar system, including a building permit, an electrical permit, or both. You’ll need to obtain these permits before the installation, and because the application and approval process can take anywhere from a few weeks to several months, it’s important to research ahead of time. Many solar panel installation companies will handle both the permit application and costs, so confirm with the company when finalizing the contract. If your community has a homeowner’s association (HOA), you may also need to submit your plans and get approval from them before installing a system. Check your state’s laws and HOA rules for more specific details. Before finalizing your solar system’s size, analyze your past energy bills to see how much electricity you use. It’s best to look back a full year so you can see how it varies between summer and winter. Add up the total number of kilowatt hours (kWh) you consumed for 12 months and compare what your chosen system is estimated to produce. Remember, the size of your roof will limit how many solar panels you can install, so you may or may not be able to produce as much energy as you’d like. Or, you may realize that your average energy use is lower than you thought, allowing you to downsize your array choice and the related panel and installation costs. 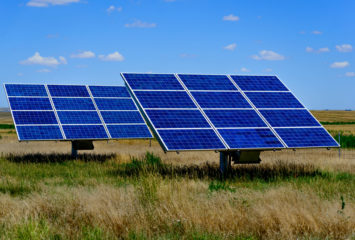 You need to notify your utility company before installing and using your solar panels. Because different utility companies have different payment policies and net metering rules for homes using solar energy, your billing may change drastically. Some utility companies install a net meter to measure the net energy — the difference between the energy your panels produced and the amount of electricity your home used. 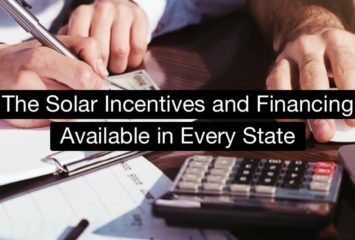 Currently, 42 states offer net metering, while those states without these policies use different rules and measurement methods. Electric companies that use net metering often switch traditional monthly billing to an annual True-Up bill, which allow energy consumption and production to be reconciled. At the end of the year, you will either owe money if you used more than you produced or be reimbursed if you produced more than you used. The more direct sunlight hits your solar panels, the more energy you can produce. Thus, it’s important to make sure that nothing will shade your array, particularly during the peak energy production times of 9 a.m. to 3 p.m. To combat any potential obstructions, trim overhanging trees and relocate rooftop satellite dishes well before your installation date. Typically, between 300 and 400 square feet of unobstructed roof space — preferably without skylights, pipes, or chimneys in the way — will be enough for a normal array. To get that much space, you may need to find a new place or position for roof vents or antennas. Before making any structural adjustments, though, you’ll want to confirm any city-specific roofing rules, as some building codes require a professional to relocate roof vents. The type of roof you have can impact installation time, materials, and costs. Spanish tiles and shakes, for instance, are more delicate, making for a trickier install than traditional asphalt shingles. Further, while most solar companies can install panels on nearly any roof, some may prefer that the roof be cleaned or swept before the install, so ask your solar representative for more details on any preparation that may be required. 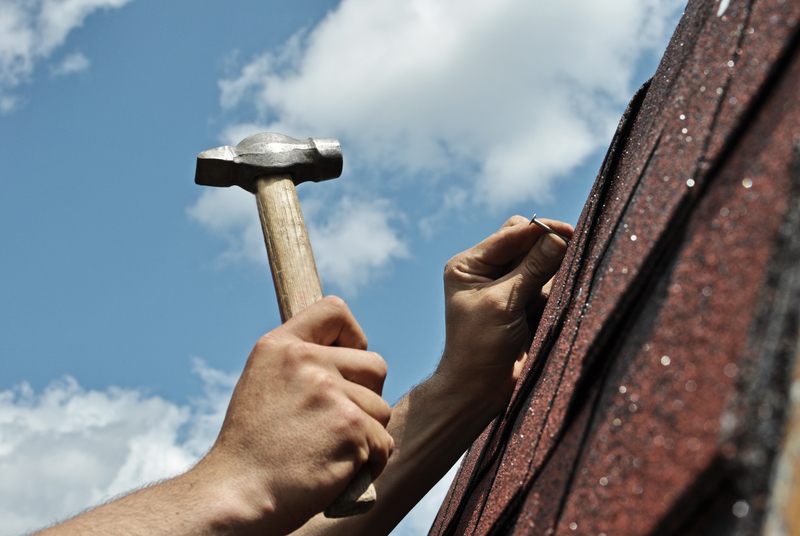 While preparing your roof, review the current condition of your shingles. If you or a professional suspects your roof will need replacing within the next 10 to 15 years, it may make more sense to replace your roof before installing the array. Solar panels last 20–40 years, and it can be expensive to remove and reinstall the panels if you need to replace your roof during that lifespan. Your qualified solar installers should advise you on how to prepare for your solar installation, but don’t hesitate to ask any questions that arise. The more you can plan ahead, the easier you’ll make it for the installers. And, soon enough, your home will be on its way to generating clean, renewable energy.